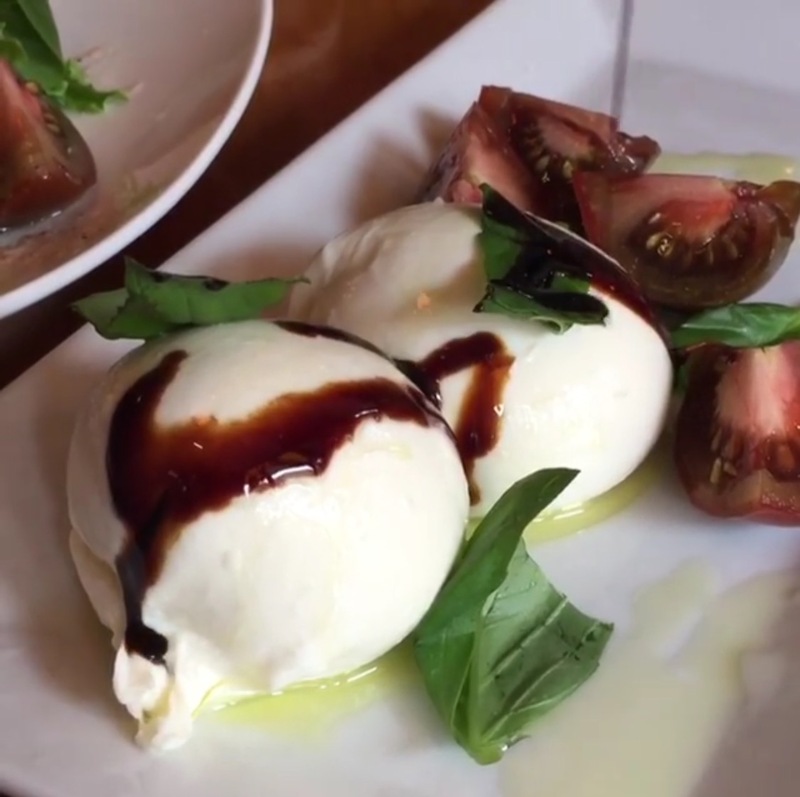 We personally prefer Burrata to Mozarella. Do you know the difference? Burrata cheese takes the mozzarella one step further — it’s mozzarella that’s formed into a pouch and then filled with soft, stringy curd and cream.